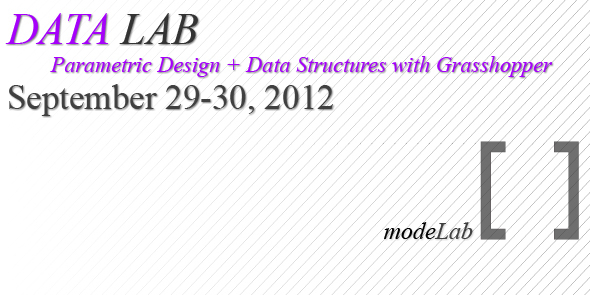 There are still seats available in this weekend's DATA LAB: Parametric Design + Data Structures with Grasshopper. 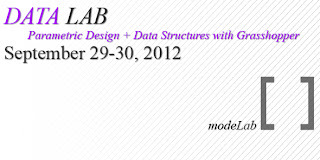 DATA LAB is a two-day workshop on Advanced Topics and Data Structures in Grasshopper for Rhino. In a fast-paced and hands-on learning environment, participants will cover the fundamental concepts of data structures as well as strategies for working with Lists, Sequences, and Data Trees.